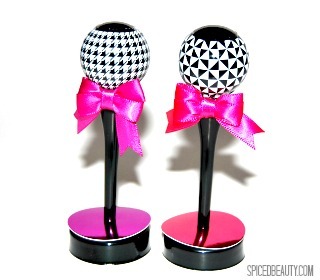 What do you get a girl who loves bows & gloss? 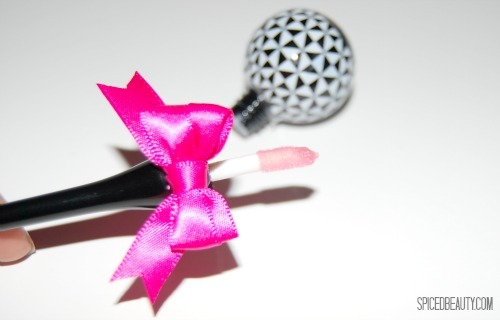 A shimmery pink gloss in an irresistibly cute lollipop-shaped container. I love the fact that you can hang it on your tree or take off the ribbon and put it in a stocking. Plus the print is lovely! It also appeals to everyone: Young or old. My mom asked me if she can have one. Maybe I'll buy one for her stocking. I like fruity lip glosses! For $7.00, it's definitely worth putting on your Christmas list. 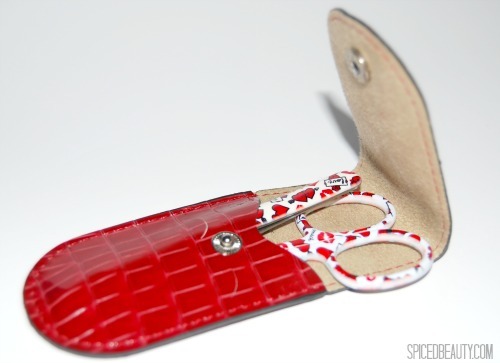 Are you looking for a super cute set of tweezers? I have the perfect brand for you! I'm embarrassed to say this but I'm a tweezer junkie. I constantly buy them and lose them! Some days I have five and others I can't find any. I'm always looking for one that is durable with a nice grip. I have very thick hairs and those dollar store tweezers don't help. Now these products are exactly what I was looking for! I love the fact that Artestile is a Canadian Company! They are also free of lead & nickel. I'm so happy that this set came in a bright red pouch. It will be really hard to lose this. As long as I remember to put these back in the pouch when I'm done, I will have no issue! Overall great design & product! 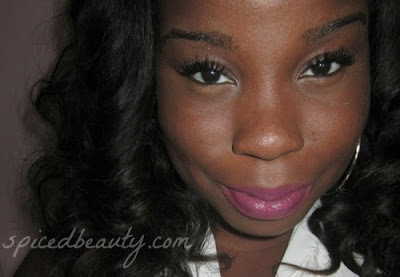 I have been receiving a lot of twitter questions about the lipstick that I was wearing in my Ben Nye Post. Colour Caresse by Color Riche is formulated with L'Oreal's revolutionary Lightfeel System to deliver a feather-light finish without being sticky or heavy. I can't believe it took me soooo long to share this with you all. 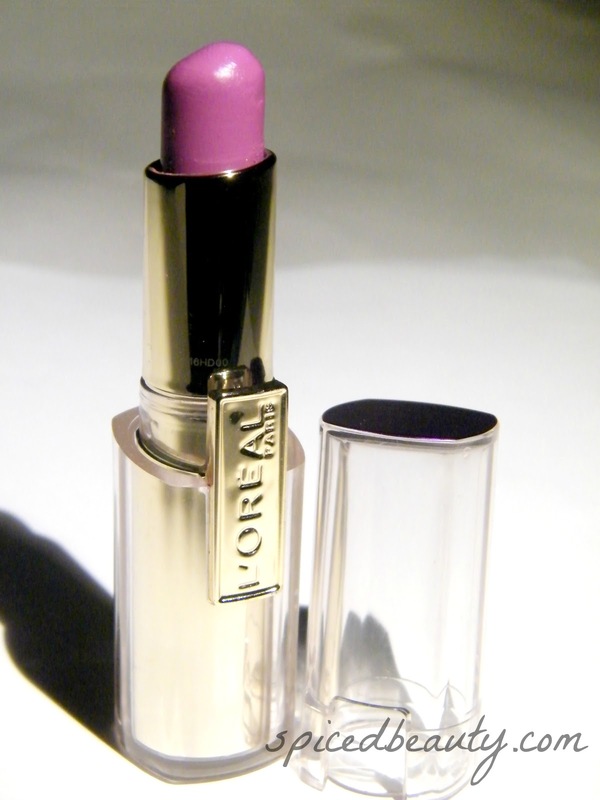 lipsticks and the Colour Caresse line is so exception. It was literally LOVE at first swatch. Violet chiffon is a gorgeous wearable purple. It applies like butter! 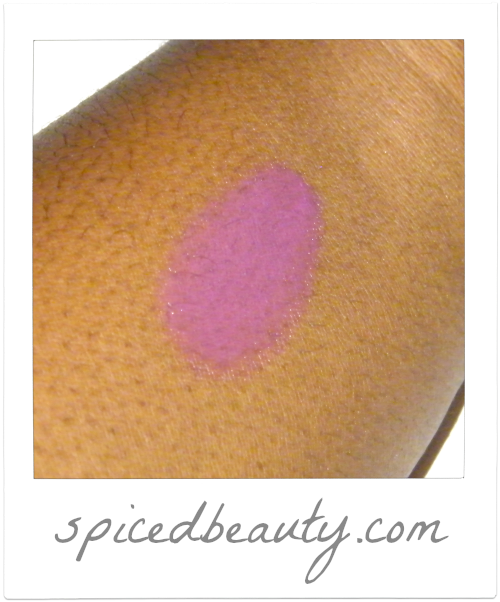 Very smooth with a beautiful pigmented finish. 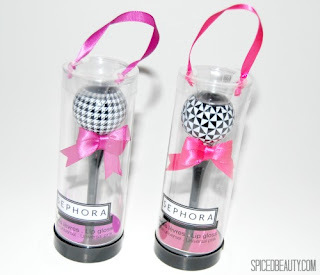 I love lipsticks but sometimes you just need something that is not heavy. This is definitely what I would look for. Doesn't matter what skin tone you are it's a universally flattering shade. Are you trying to figure out what to get for Christmas? For the next four weeks I will be sharing great gift ideas. 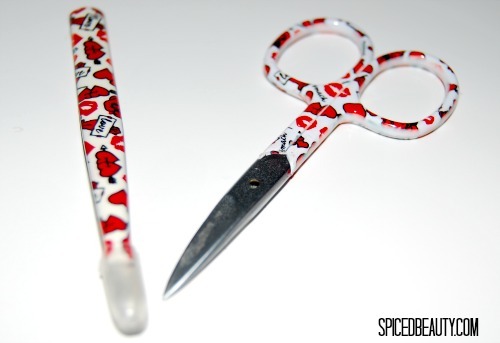 First lets get started with one of my favourites which only costs $15.00 CND! 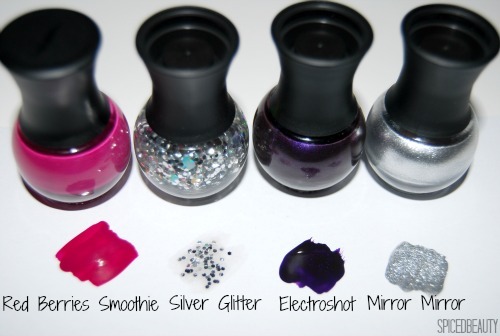 A set of four fashionable nail shades that snap into one easy-to-carry wand. I decided to break this up into categories. This will help you get fast facts to decide if this product suits your needs. I like metallic, cremes & glitter polishes. I like to stay organized. I think these polishes are great. 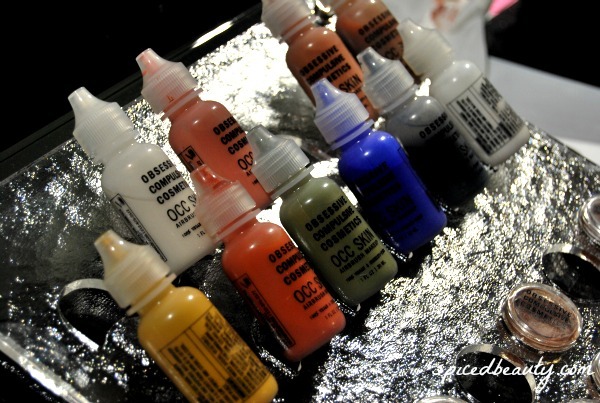 Every color is pigmented and fast drying. I also like the idea of them being stackable. I can just throw them in my makeup organizer and find them when I'm ready to use them. If you are not a silver girl, this set also comes in gold. Would you get this set? 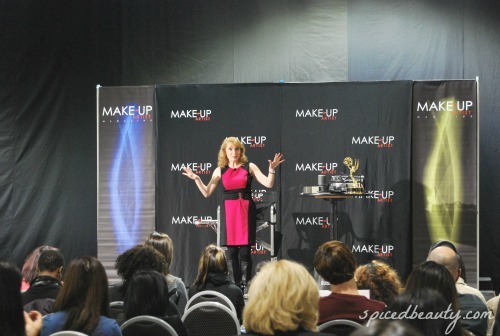 Another Toronto IMATS has come and gone. 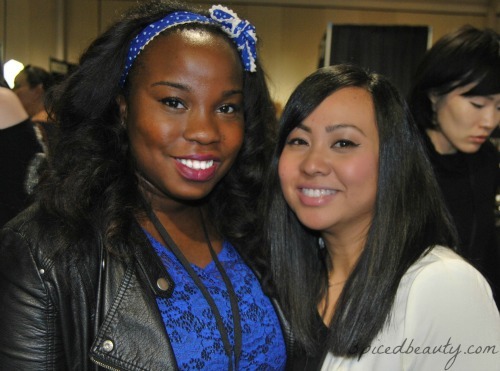 As per usual it was a day filled with vloggers, bloggers and beauty lovers! For the second time the venue was at Toronto Congress Centre which is located in Etobicoke. I got there a little bit later in the morning (around 11) and was shocked at the sheer number of people which was there. I came with a direct game plan and didn't stray away from my budget. 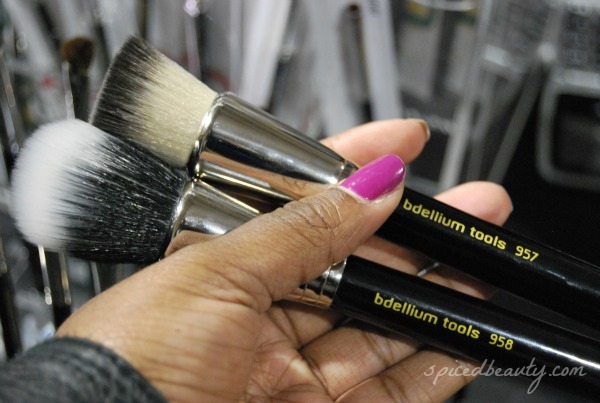 First on my list was bdellium tools! 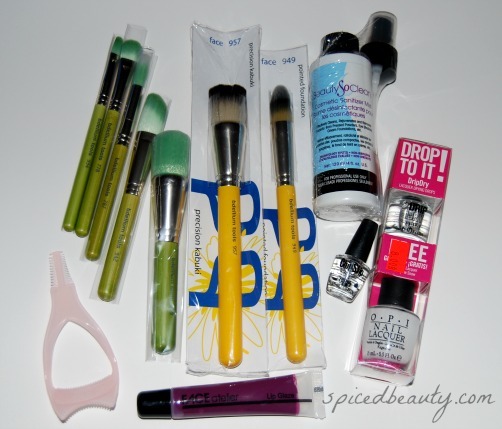 After hearing several bloggers rave about them, I know I had to get a few brushes from the line. Then off to Beauty So Clean and lastly finish off at Face Atelier to see what's new. 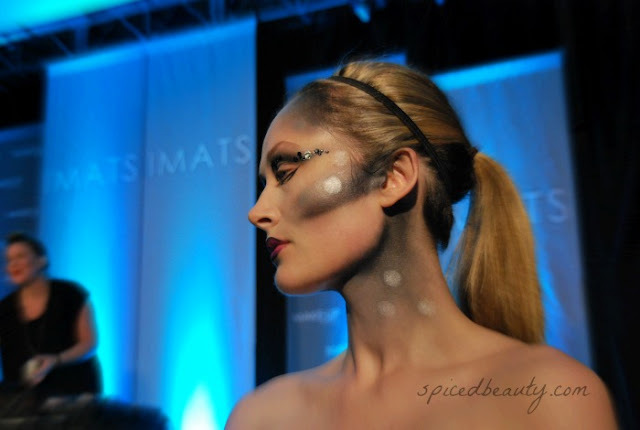 This years exhibitor list was much smaller than the earlier IMATS that I have attended. That didn't stop groves of people from coming out to enjoy the beauty deals and watch the seminars. Believe it or not, the ATM's on site ALL ran out of money before 2pm! I was so happy that I traveled with cash. I finally got to see one of my favourite bloggers/MUA Joy from Makeup Junkie. 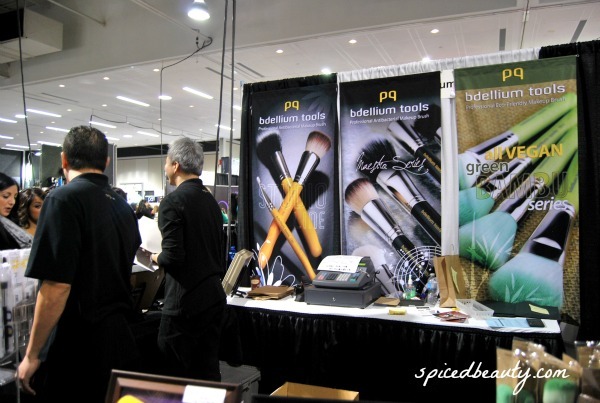 bdellium tools booth set up. I was debating whether I wanted the 957 or 958. I should have just taken both! 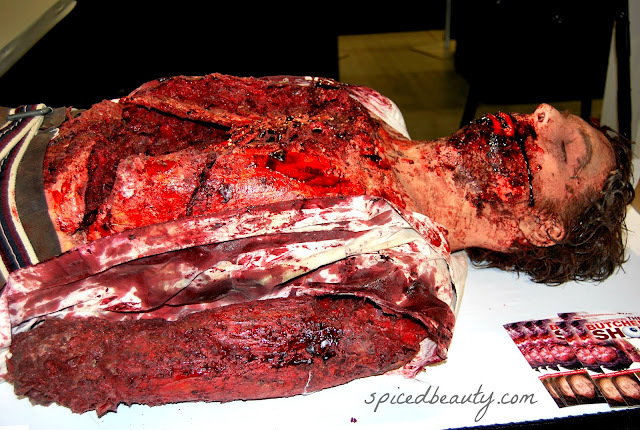 If you're squeamish look away! I couldn't leave without taking a picture. It's actually a replica of a full-sized man. It was like 5'10! He even had shoes on!! 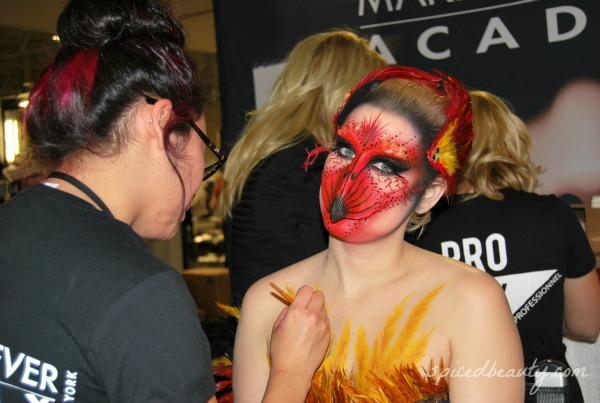 End result from the Make-up as Art seminar featuring M.A.C. Pro artist Melissa Gibson. Last but not least my Haul! Such a small haul but honestly at this moment I have everything I want. Retail is now evolving with the addition of Pop-up closets. 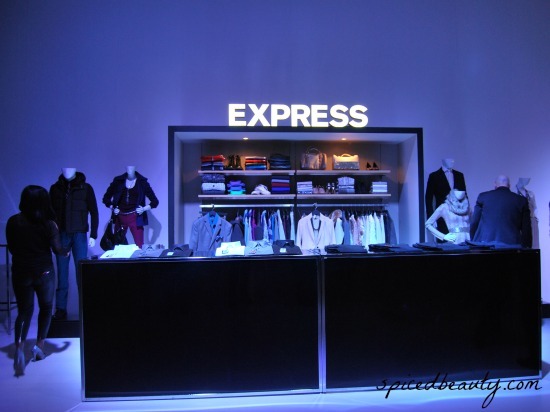 Express Canada will be holding a few pop-up closets this November. You will have the opportunity to check out outfits, view accessories & win prizes. 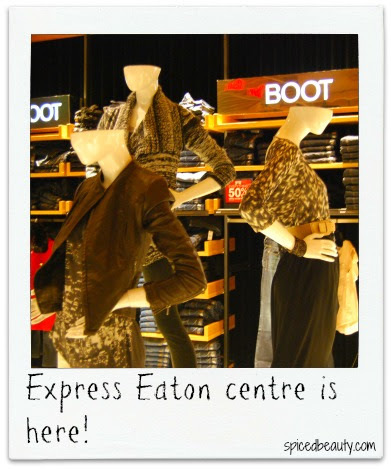 The pop-up closets are to celebrate the Express Grand Opening event at Eaton Centre on November 21. Just in time for the holidays! 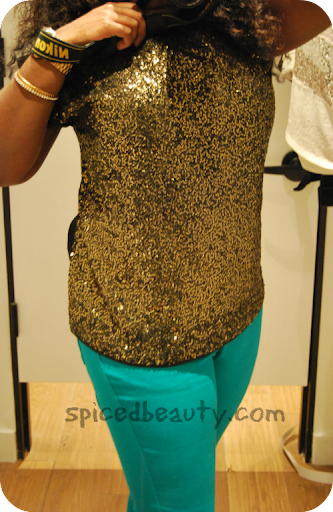 I have several events coming up and I know that I will find an outfit or two in Express. 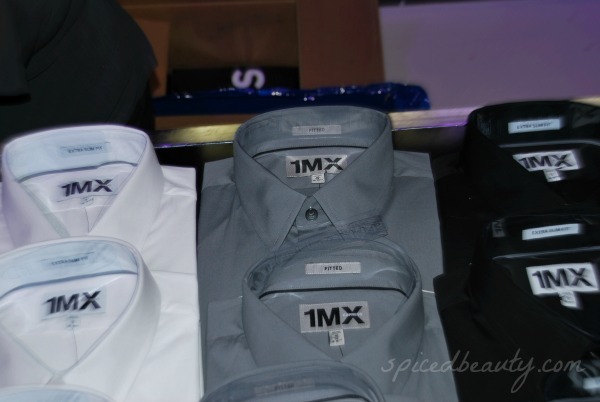 A 1MX selling men’s dress shirt (my boyfriend is constantly raving about how great they fit). 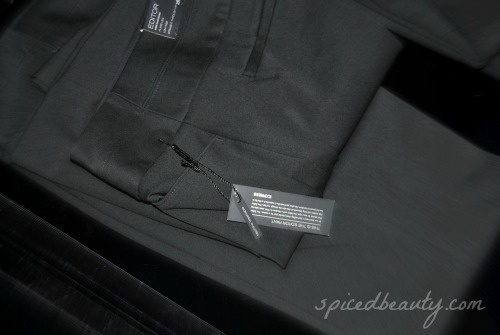 An Editor and Columnist women’s dress pant (Available in sizes 00 to 14). 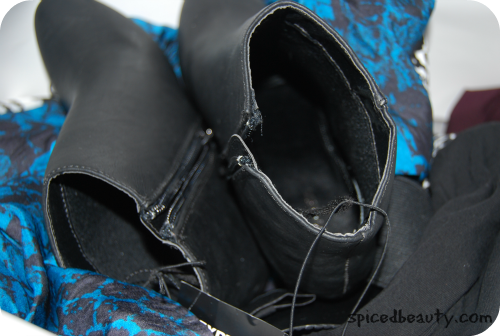 I had the opportunity to visit the very first pop-up closet which was at Toronto Fashion Week. This may sound odd but my favourite part was the mannequins. I loved seeing the outfits that were put together. It gives you an idea on what will work for you. I’m not the size of the mannequin but I can definitely go in-store and look for alternative that would suit my body type. It's less than a week until the Grand opening! Don’t forget to try your luck and enter the $1000 shopping spree. Here is the contest entry form. Good Luck! Are you ready for Christmas party or New Years? I recently visited the Payless show room to see which shoes they thought were popular for the season. 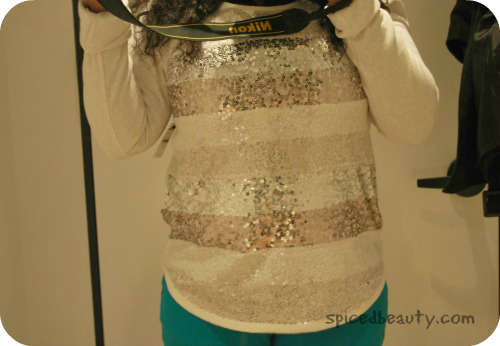 I personally gravitate towards anything with glitter/sparkly, leopard print or studded! I love heels.. I mean LOVE! 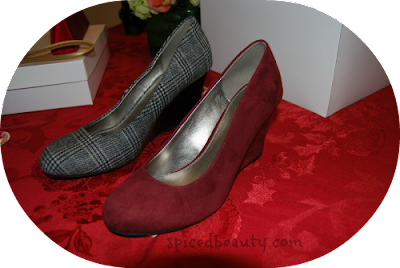 My closets are full of several pairs from low to high BUT I can't walk in them..
My alternative is a full wedge or flats. I tried to take pictures of every style there was available. Let me know which style is your favourite! I've had the same glasses now for almost four years. My prescription was so low that my Optometrist told me that I really didn't need them. Being that I work on a dual screen computer daily, the glare really bothers me. Plus believe it or not I've always wanted a pair of glasses. Isn't that so nerdy! The current pair I own are hot pink. 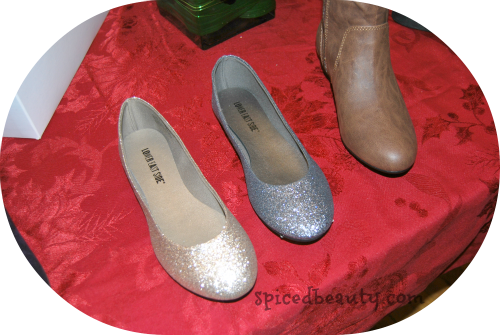 Fun... but I've always wanted a toned down black pair. A girls gotta have choices! With this deal from ClearlyContacts.ca, I can get a new pair for FREE! 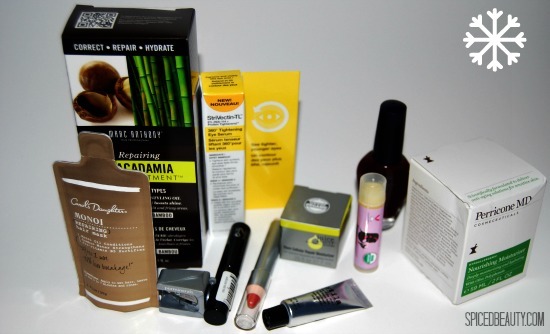 Have you ever bought into a beauty "hype"? It's a product that you see a celebrity endorsing or a popular product blowing up youtube/blogs. I did a few months ago and I'm so happy I did. 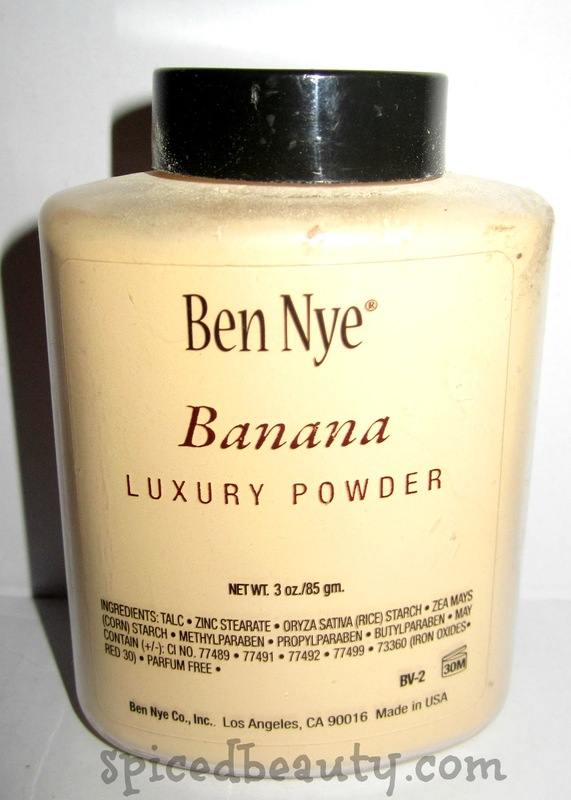 Ben Nye Banana Luxury Powder is liquid gold. Okay.. Maybe I'm over exaggerating but it's pretty awesome! There was a time when this product was on back order on every website that it was sold on! Some ladies waited up to four weeks to get their hands on a bottle. How insane is that?!? It's all because Kim Kardashian's makeup artist featured it in one of his videos. I'm happy I purchased my bottle from Camera Ready Cosmetics before the true hype set in. It doesn't take a rocket scientist to realize that Kim K and I are not the same color. We're probably at the opposite ends of the color spectrum. That's the beauty of the Banana powder. It can work for several skin tones. 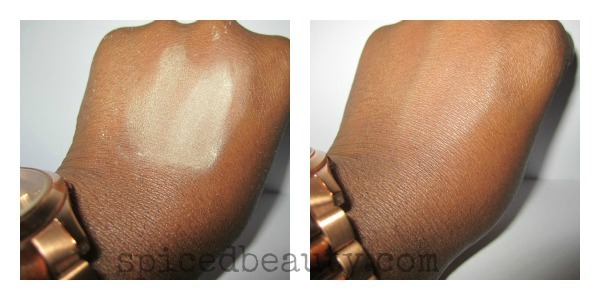 One tip would be not to use a large amount of it if your a deeper skin tone. I found that using a light amount and buffing it in works best(for me). If you use a large amount, instead of a glow under your eyes you will have a serious white cast in pictures. If you get a good buffing brush, you're set! Under my eyes looks amazing! Now I'm interested in purchasing other colors from the line. Have you heard of this product and would you purchase it? Annabelle cosmetics has come up with a cool way to get you involved in Movember! 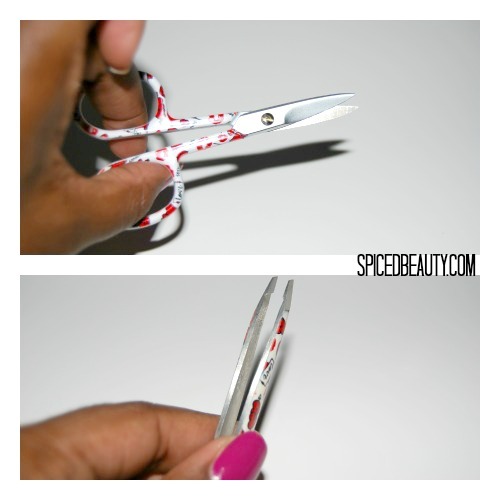 If you're like me and can't grow a beard, this is a great way to support with a "very feminine twist". During the course of the month of November,Mo Bros are encouraged to “change the face of men’s health” by growing a moustache. It engages men in the concept of raising awareness of their own health issues and serves as a creative and innovative way to raise funds for research, education and continuing awareness. 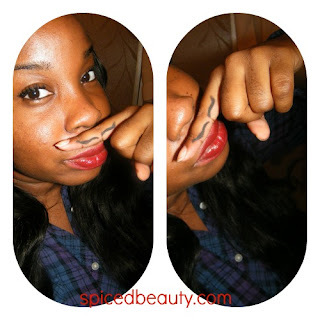 In their journey, Mo Bros have engaged “Mo Sistas”, women who support the Movember movement by offering their solidarity to the men in their lives who are growing a moustache during the month of November. Whether they are our fathers, our boyfriends, our husbands, our bosses, our colleagues, our fellow students or our brothers,Mo Sistas are surrounded by men. Annabelle is inviting all theirMo Sistas fans and cosmetic users to dress the part: put on a moustache this November for Movember! Using your favorite Annabelle lipliner, lipstick, lipgloss or even eye pencil, draw a moustache above your upper lip and snap a picture. Upload the picture on your own Pinterest board. For your participation to translate into a donation, you must use the hashtag #AnnabelleMovember in the Pin description and tell state which Annabelle product was used to draw your moustache. Annabelle will repin your picture onto their own Annabelle Pinterest “#AnnabelleMovember Mo Sistas2012” board and donate one dollar ($1) for every valid picture. Looking for a gift to give someone who has everything? This is the perfect gift to give to one person or give to a few. There is something for everyone in here! 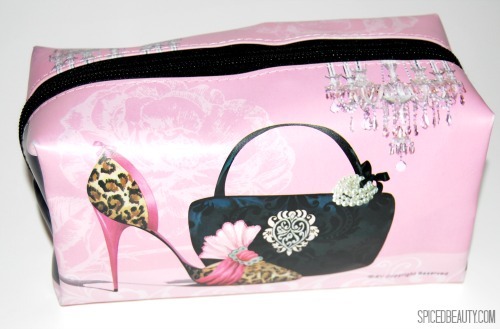 It also comes in a cool makeup bag! Can you believe this bag is only $25.00! You can purchase the bag at ebeauty.ca.